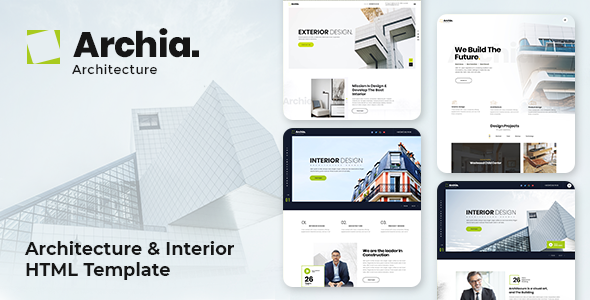 Archia is a free modern architecture website template with a clean, contemporary and attention-grabbing design. Our design are driven by variant color and pattern. With this template pixel perfect images and neat sectioning to help you create a professional looking architect website. It is a creative website template which handles both images and texts smartly so that you can show your construction works and also explain it to the user. Perfect for businesses, startup and web based service.